CHINA AVIATION SUPPLIES HOLDING COMPANY (CASC) was established in October 2002 and is one of the six holding companies of China Civil Aviation Administration providing air transportation and support services. Its predecessor was CHINA AVIATION SUPPLIES IMPORT & EXPORT GROUP CORPORATION, which was founded in 1980 and was the first company established by the Chinese Civil Aviation Administration. The Company is specialized in aircraft procurement and support services related to aviation supplies. Over the last 30 years, CASC has purchased and leased more than 1,400 aircraft for domestic airlines, and imported numerous airport supporting facilities, special vehicles, large-scale air traffic control systems and checkout equipment and so on. The yearly total import and export volume reaches more than USD2 billion. 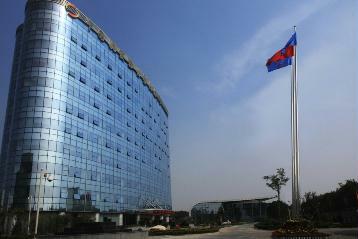 The total assets of the company have exceeded RMB 6 billion as of December 31st, 2009. Since its establishment, CASC has entered into framework agreements with companies, such as Airbus S.A.S. and Boeing Co. and purchased 779 aircraft. The successful completion of several procurement batches has played a positive role in lowering procurement costs for airlines, and in the meantime has deepened the relationship between CASC and many airlines worldwide. Since its foundation, CASC has as a vision to expand to new business sectors and become a comprehensive service provider trusted by the aviation business industry. No. 3 Tianweisi Street, Zone A, Airport Industrial Zone, Shunyi District, Beijing, China, P. R.